We would like our Site visitors to feel confident about using the Site to plan and purchase their accommodations, so Aherne's Townhouse is committed to protecting the information we collect. Aherne's Townhouse has implemented a security program to keep information that is stored in our systems protected from unauthorized access. Our Site is hosted in a secure environment. The Site servers/systems are configured with data encryption, or scrambling, technologies, and industry-standard firewalls. When you enter personal information during the reservation process, or during a customer email sign-up, your data is protected by Secure Socket Layer (SSL) technology to ensure safe transmission. 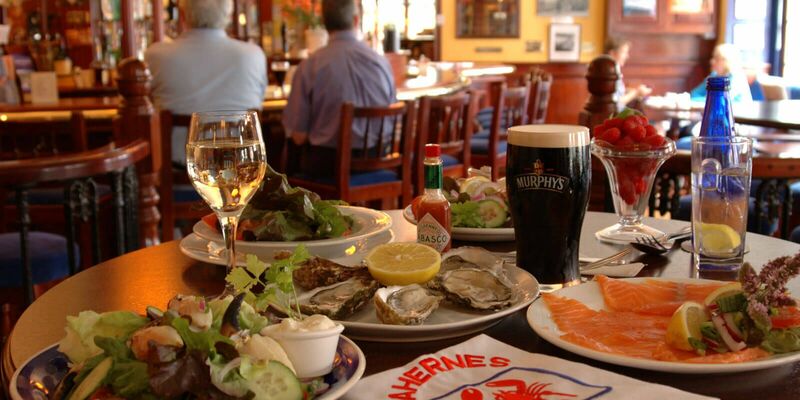 Aherne's Townhouse may provide links to a number of other web sites that we believe might offer you useful information and services. However, those sites may not follow the same privacy policies as Aherne's Townhouse. Therefore, we are not responsible for the privacy policies or the actions of any third parties, including without limitation, any web site owners whose sites may be reached through this Site, nor can we control the activities of those web sites. We urge you to contact the relevant parties controlling these sites or accessing their on-line policies for the relevant information about their data collection practices before submitting any personal information or other sensitive data.